The desire to learn an instrument is often found within the desire for some kind of expression. There is a vulnerability to singing or playing that is similar to the vulnerability felt by many people about public speaking. Music is such a form of expression that it immediately puts on on the stage. While it can be a form of communication between those who participate in the creation of the music, those who are not, automatically become part of the audience (or they disengage from communication since it is no longer seeking their input). This means the student of any instrument should first seek their reasoning for wanting to play that instrument. 100’s of hours of practice with a guitar, or Piano, or Vocal training are required to gain proficiency with the instrument, but once you do the rewards are immense. You do not need to become a rock star to feel it. Instead there is great reward in simply playing a tune for oneself with only the house plants as an audience. The skill to pick up an instrument after hearing a song you like, and within a few minutes playing that song through, is an amazing thing to be able to do. You are given the power to change your mood and focus at the instant. So then, why do you want to learn that particular instrument? Lets say it is a guitar. Do you want to play with others? write your own songs? Do you only need to learn a few tunes because you like the sound of them? Maybe you want to impress somebody or are to shy to carry on a conversation so need the music to hide behind. There are many different reason why people come to music. Music is in of itself a very symmetrical and mathematical form of expression. Almost a paradox when considering its power to move us emotionally. Mathematics & Music. Counting, rhythm, scales, intervals, patterns, symbols, harmonies, time signatures, overtones, tone, pitch. The notations of composers and sounds made by musicians are connected to mathematics. 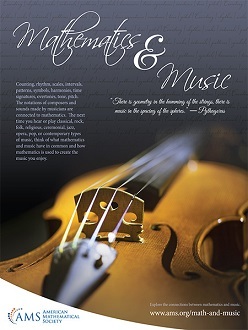 The next time you hear or play classical, rock, folk, religious, ceremonial, jazz, opera, pop, or contemporary types of music, think of what mathematics and music have in common and how mathematics is used to create the music you enjoy. The reality is, although many hours will be spent gaining proficiency on any musical instrument, it is now easier than ever to begin that journey. The online world of instruction is now amazing. There are so many guitar and piano courses online. Many of these are high quality and provide an exact method to follow that will establish all of the basic skill that you need to set the foundational for your own creative style.